Our repair facility offers quick and accurate diagnosis and repair for all your marine heating needs. We specialize in full installations of forced air and hydronic heating systems servicing and selling Espar and Webasto products. 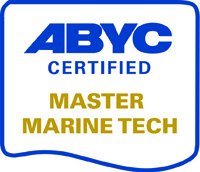 Our ABYC certified service technicians are trained to promptly and professionally respond to all needs aboard your vessel. Diesel and gasoline maintenance and repairs are made on your schedule with guaranteed dependable quality. We install new and service existing electrical systems and provide ABYC certified technicians for proper design and installation assurance. We specialize in providing adequate solutions for all electrical applications. Representing Westerbeke in environmentally and fuel efficient generating products, we are able to provide parts and service in short order. Trained electrical technicians are ready to respond to all major onboard power generation needs. From Hurth to Twin Disc and Borg Warner, Betts Boat Repair has the tools and the experience necessary to diagnose and repair all driveline related problems. Our team works efficiently in confined work space to assure quick and competent repair of all transmission applications. Betts Boat Repair is your contact point for all marine sanitation system applications. We provide safe and approved upgrades, installations and repairs.